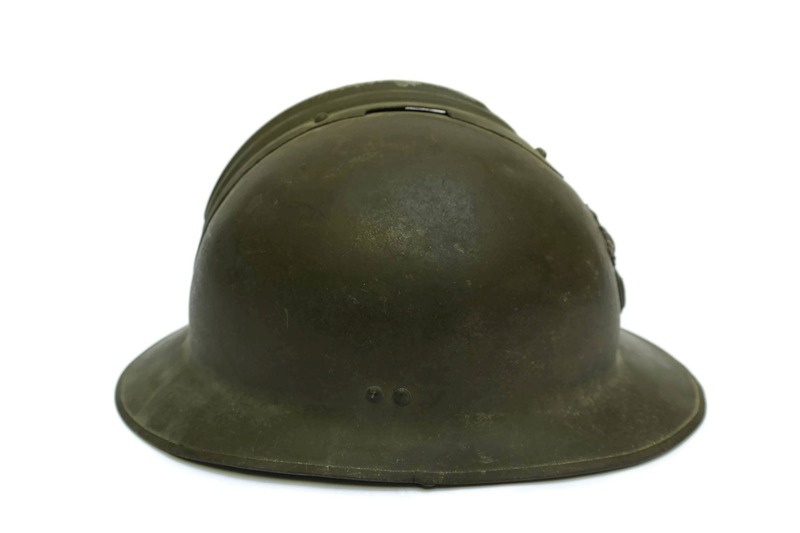 A vintage French military Helmet from the Second World War. 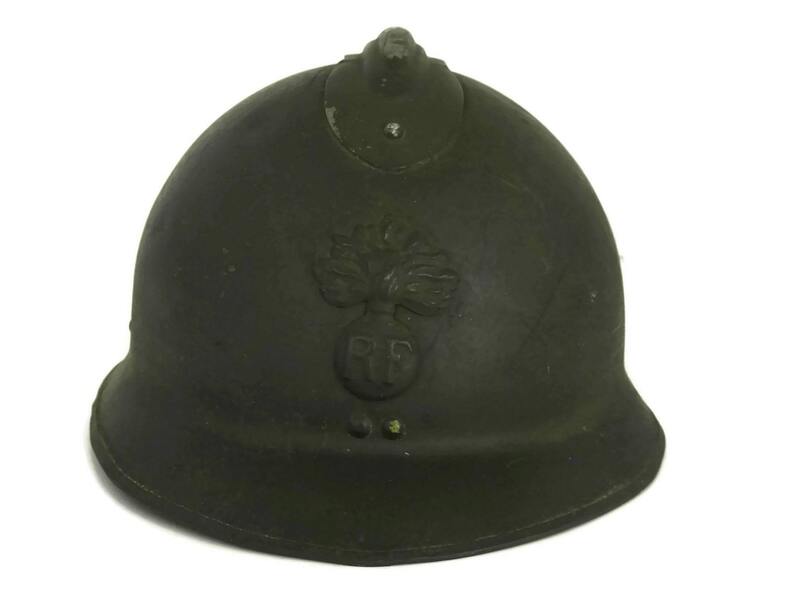 In France, this helmet is remembered as "Le Casque Adrian". 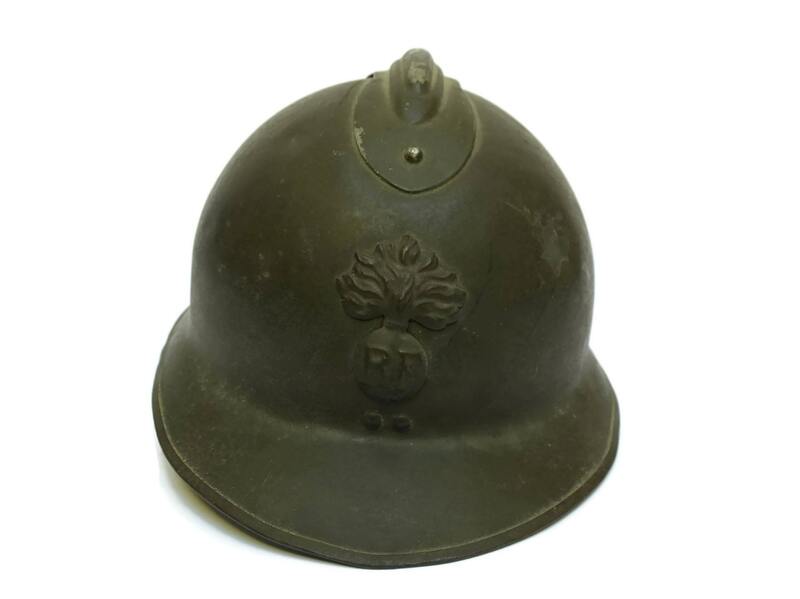 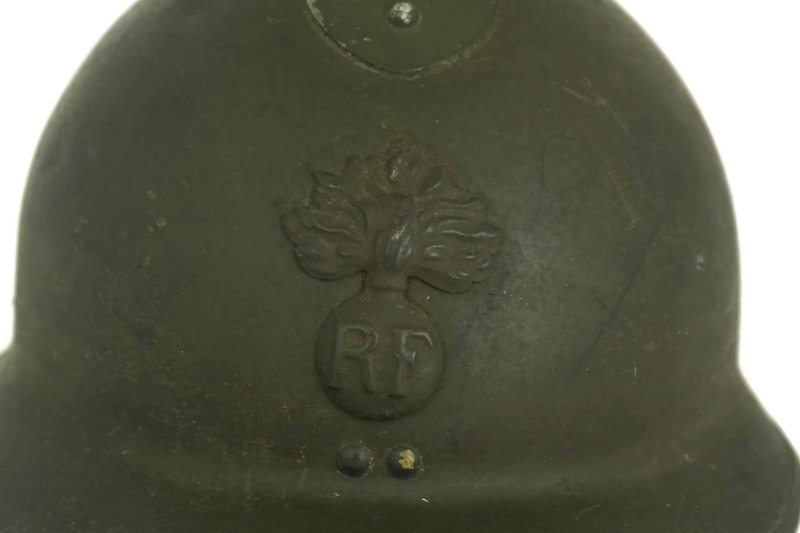 The military insignia embellishing the helmet identifies it as model 26 worn by the Police force or the fire brigade during the WWII. 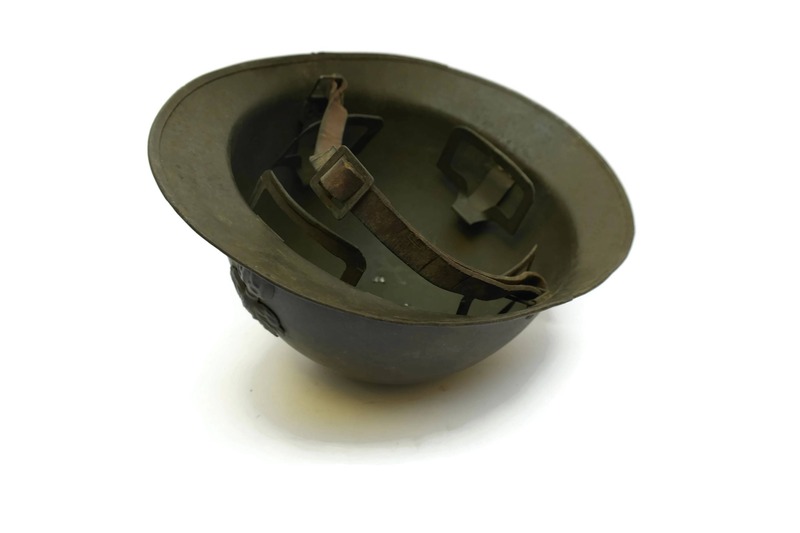 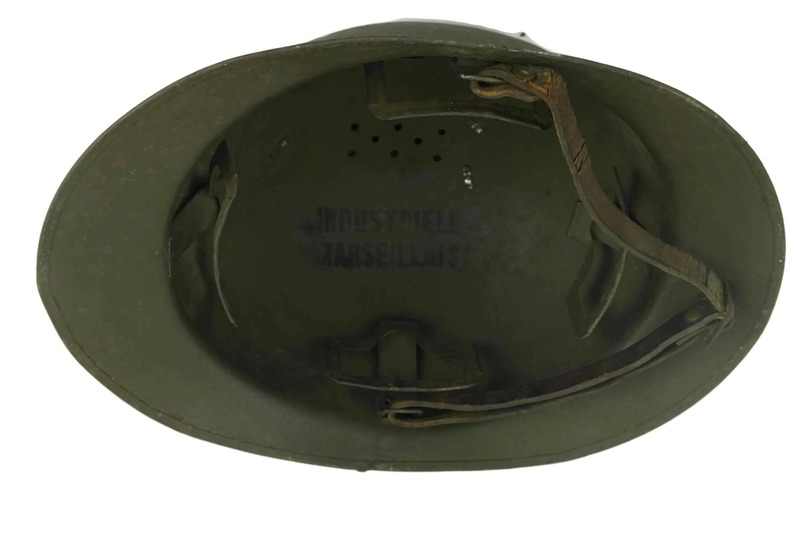 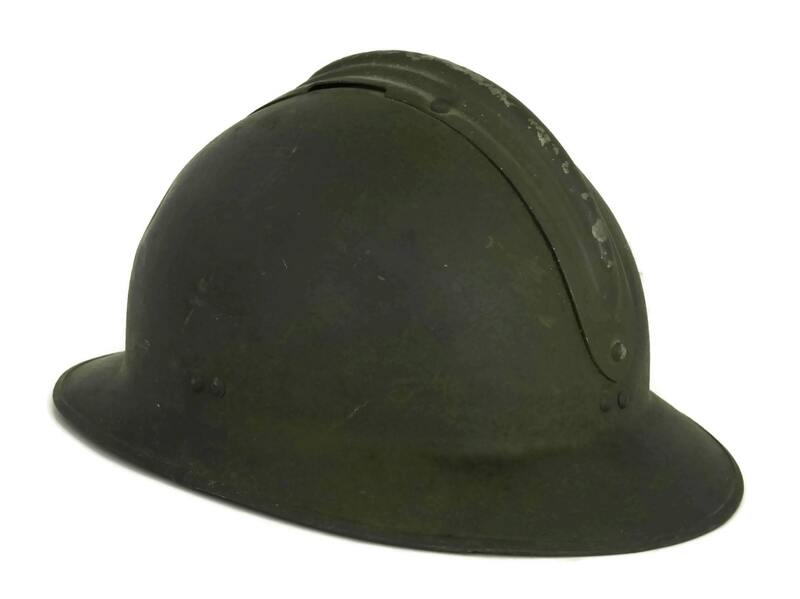 The army helmet retains its original Chocolate paint and adjustable leather strap and interior. 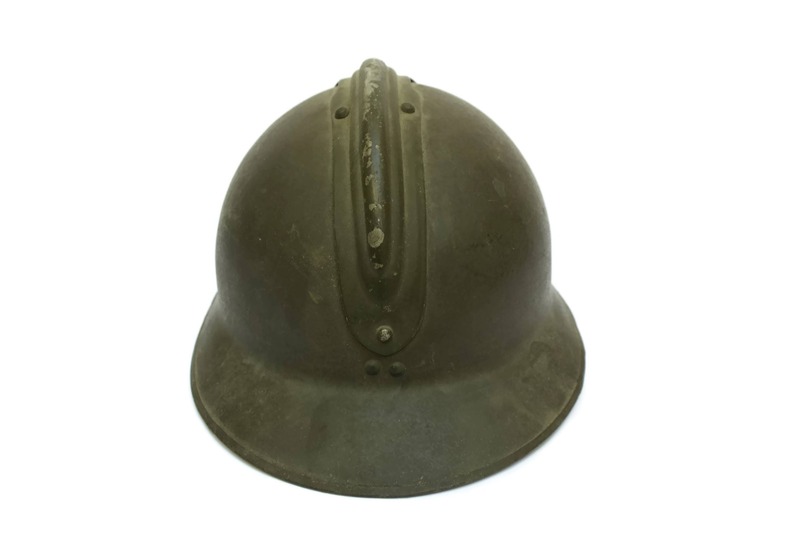 12 1/2" Long x 9" Wide x 7" High (31,5 cm x 22,5 cm x 18 cm). 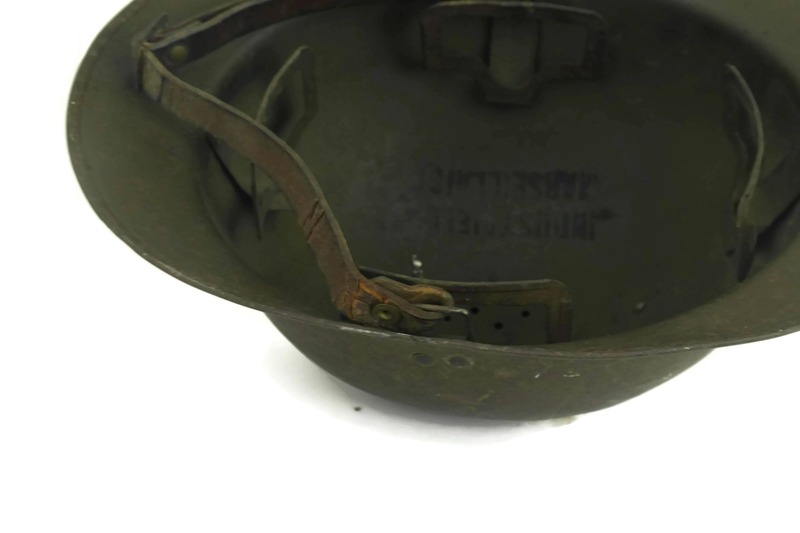 The helmet is in vintage condition with overall signs of wear and age. 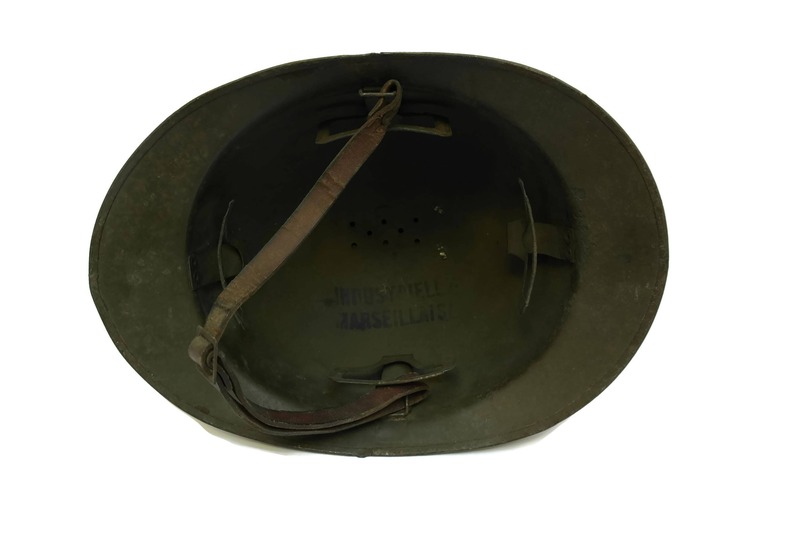 There are knocks to the metal, flakes to the paint and deep patina to the leather.